When a respected leader in the tech industry suggests maybe you should consider deleting your social media accounts – all of them – it’s more than worth listening to. 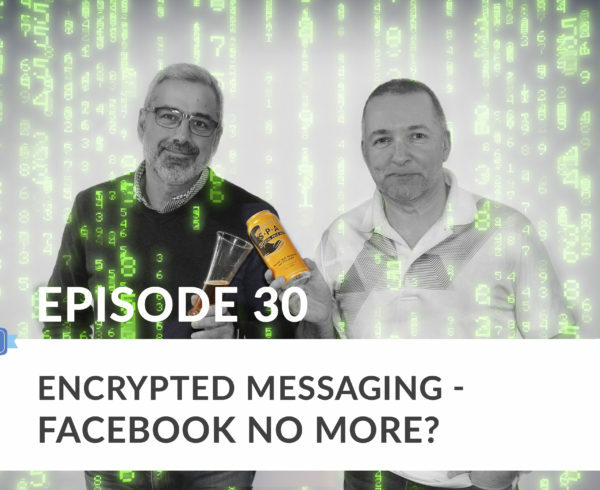 This is exactly what Jaron Lanier suggests in his new manifesto/book, “10 Arguments for Deleting Your Social Media Accounts Right Now”, and is the topic of discussion in episode five of Marketing on Tap. Using the growth of social media, and its impact on the people who use it, Lanier paints an extremely negative picture of how social media is impacting mental health, fostering negativity, and how our natural responses to everyday issues are being skewed by algorithms set up to take us down a particular path. 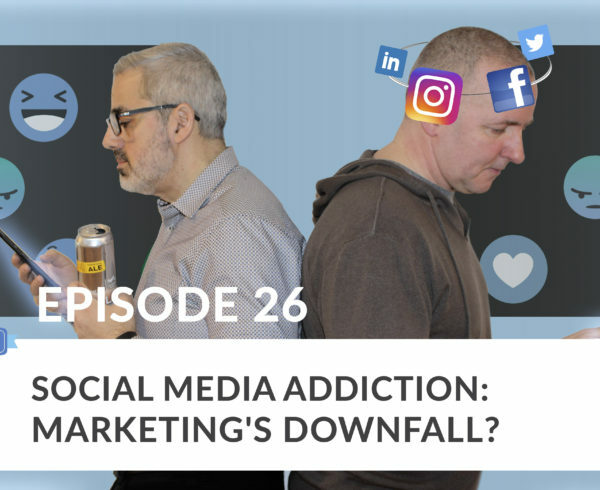 As users of the networks start to look at their own use, and more people take “digital vacations” where they switch off from social media for long periods of time, we discuss what this means for marketers and digital marketing, if the current desertion of social networks continues at its current pace. Intro: Welcome to Marketing on Tap, a weekly podcast in which marketing pros and authors, Sam Fiorella and Danny Brown serve up the latest marketing hot topics, campaigns, and trends. All washed down with a great craft beer. Join in for the fun as they debate the pros and cons of the topic of the week, while featuring popular or up and coming microbreweries. Topics include influence marketing, brand campaign successes and misses, customer advocacy programs, and marketing challenges facing businesses and agencies. It’s the marketing podcast to listen to for CMOs, senior sales executives, and key decision makers at mid to enterprise level organizations. And with their good natured bashing of each other, each episode promises to entertain and educate in equal measure. Welcome to Marketing On Tap. 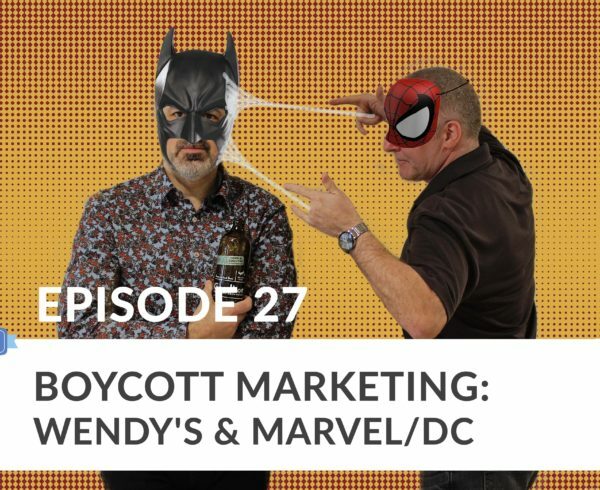 Sam Fiorella: Welcome back, everybody, to the latest podcast and vlog, for those of you watching us, of Marketing On Tap. This is my mate Danny Brown. I am Sam Fiorella. And today, Danny, I want to talk about something very very interesting. Sam Fiorella: And it’s an article that I read in the Toronto Star, in which a tech guru announces that, or declares, demands, suggests, however you want to read into this, that we get rid of all of our social media. Now. Sam Fiorella: Maybe to preface it, I want to … It’s only a couple of paragraphs but I want to read what it says what he suggests. Because I think it’s really, it’s almost … I’m struggling with the word for it, but it’s scary, I guess, is maybe a simple way to put it. Danny Brown: What’d he say? Sam Fiorella: What he’s saying is like this is really the end of times if we don’t all get rid of our social media. So here, I’m going to read it really quickly. It says, “If you’re online these days, you’ll likely sense that something’s wrong with the internet. You probably feel weird about how many times you check your Facebook or Instagram every day. And likely a little bit uneasy about how annoyed or envious you feel when you do. Sam Fiorella: Maybe the hostility online depresses you. Maybe you worry about the next generation and how anxious everybody seems. Maybe you’re even considering deleting your accounts. Well, this is exactly what Jaron Lanier, a leader in the tech world, says we should do and do it right away. Sam Fiorella: He’s a pioneer in the world of internet startups and specifically virtual reality and has long time been a critic of Silicon Valley status quo, always trying to push the boundaries. But in his book, he makes ten simple arguments that paints why wide-scale behavior has become so negative online.” And there’s a couple of things that he points out that’s really scary. Danny Brown: Especially in the last couple years, I would say. Sam Fiorella: Right, exactly. As he says it, it just seems to be reinforce itself. And so the point, if you read, it’s a short book. It’s like the kind of thing you can read on an airplane ride. The point that he’s trying to make in this is that because negativity is more strongly reinforced amongst us than positivity, that that’s what engagement has become. And its self-propelling itself. Sam Fiorella: And so he, for one, and he’s in the tech world, in Silicon Valley, and he’s deleted all of his social media accounts. We know a lot of people. You’ve, in fact, sort of walked away from a lot of social media accounts. Sam Fiorella: I know I’ve dramatically cut back the accounts that I have in my usage. And we know a lot of other of our friends that have either taken digital vacations is becoming a thing to give your brain a break. Like if we need to have a digital vacation from social media, maybe he’s got a point. There’s something wrong with it. Sam Fiorella: I want to explore how that affects marketers today, us as individuals, and us as marketers. But before that, what have you given me here? Danny Brown: So I know two weeks ago in the last broadcast a couple weeks back or whatever, you really enjoyed the wheat beer. Sam Fiorella: This is not a Radler, is it? Sam Fiorella: I’m telling you, if this tastes like grapefruit I will punch you in the throat. Danny Brown: No, this is tropical wheat, okay. So it’s got a nice mixture of, brew seed, pineapple, and mango, I think it was. Danny Brown: So it’s like a really good summer white. Sam Fiorella: Alright. Well, I’m making a fist right now getting ready. Danny Brown: Well, it’s funny though. Muskoka Brewery, we’d be speaking to some craft brewers journey and what have you and they are believed to be the next one to get bought by corporate brewers. Danny Brown: Which would be sad to see because they make some great beers and it be really sad if they were one of the ones, but I never tried this before, so it’s a new one for me. So cheers. Sam Fiorella: Cheers mate. Cheers everybody. Unexpected. Danny Brown: You get the tropical fruits coming through. You get the orange there, right? 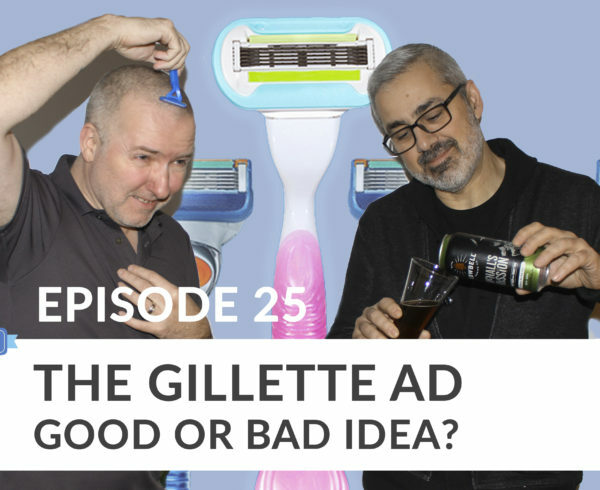 Sam Fiorella: Yeah, which is fine, I can live with that in a summer beer. Sam Fiorella: When you’re up by the pool or whatever. Danny Brown: But they’re not sour like a Radler, especially not a Radler. Sam Fiorella: If you don’t know there’s everything wrong with a Radler. At least in my opinion. I like that. I do like that. They’re, so Muskoka brewery, they are in Bracebridge. Danny Brown: Bracebridge and Muskoka in [inaudible 00:06:01], Muskoka County. Sam Fiorella: You should check this out guys. Danny Brown: Yeah, muskokabrewery.com. Really good. Danny Brown: Us enjoying craft beer. Sam Fiorella: … sadly what Danny and I like to do in our spare time. Okay, so let’s get right into it. So, is he right? Is social media signaling the end of times? Danny Brown: … has brought, it’s just exacerbating the whole issue with social media. Sam Fiorella: … just this week Twitter announced, or I don’t think Twitter announced it, I don’t think they want to announce it. Danny Brown: Facebook announced it. Sam Fiorella: Facebook announced that Twitter just lost 20% of its market value, share-price value because it reported decreasing users as has Facebook now. Sam Fiorella: … be it because of the negativity that is happening, the trolling. Be it because of the links that have been proven between increased usage of social media, and depression, and suicides. Sam Fiorella: There’s definitely this shift. For whatever those reasons are people are moving on. So this is not hyperbole on his case in terms of the warning signs but it’s it realistic to think that people are going to stop using social media? Danny Brown: So yeah, I think you do see there’s definitely changes in mindsets. People are looking for that one to one connection. Danny Brown: Away from social and they are finding out with the digital vacation they are getting back to nature, to use an overused phrase. Sam Fiorella: Yeah. Certainly just the fact that we need to take digital vacations is, it should be a warning sign that there is something wrong with this. You know, there is a saying that social media engagement is not social engagement. Sam Fiorella: And we definitely need that one-to-one, you know, be it … but you gotta see somebody face-to-face. You gotta shake their hand. You gotta give somebody a hug. Digital connection does not replace it, that’s for sure. But now what does this mean to marketers? And I think this is the other thing. I’m just looking at this article and just some of the highlights, because I got the e-book up on screen that I bought. Sam Fiorella: He’s basically saying that this is … social media, on purpose or not, is manipulating us. Right? One of the issues there that it was saying is that social media reinforces, as I said earlier, reinforces negativity and more so than it reinforces positivity and as a result negativity is becoming our norm for engagement. Danny Brown: Yeah. I think it’s like that as a Catch-22. We spoke about in our recent privacy podcast. Danny Brown: About the challenge is now for the platforms, and marketers, and advertisers using them based on the data and the privacy concerns, et cetera. 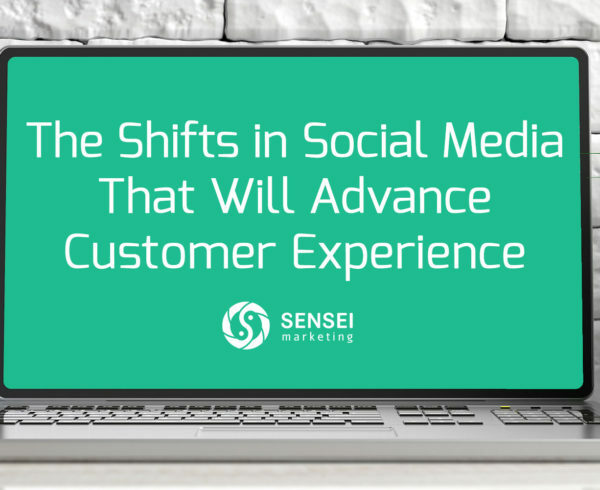 And now especially with the, it seems like people are actually stepping away from social as marketers, and advertisers, and clients, et cetera, do we know go back to say out of home? Danny Brown: Now we take it back out of home. Do we go with less chaps, VR, do you go to video games where you have in-game marketing, in-game messaging and video games like EA sports is one of the best around for getting brands relevant to EA sports titles to actually market in-game, et cetera. Danny Brown: So any good marketing company, any savvy marketer, or advertiser, or whatever is always looking what’s next? What’s beyond, what’s beyond? And I think if anybody still thinks that social media is going to have as good an impact for marketers and advertisers in the next five years and, Lord forbid, the next 10 years, I think they’ll get very much woken up by a big shock to the system. Sam Fiorella: Well, I’d be kind of disappointed to see social media go away in the form that it is today because quite frankly it’s been lucrative for us from a business perspective. Personally I would actually love to see everything just blow up and have some kind of a Big Bang event [crosstalk 00:12:02]. Sam Fiorella: We have Zuckerberg coming in out of the sky and just blowing up everything and then we have to reset. I’m actually thinking for a lot of reasons: politically, socially, social media, everything … that actually might be the only thing that is going to get us back on course. I actually had this conversation on a political discussion I was having on social media that the only way we may get over this him-versus-me or me-versus-them attitude that is polarizing us is some kind of a major reset. Sam Fiorella: … which is becoming such a popular thing and quite frankly lucrative and effective for marketers. We put so much money and effort into this social media world because quite frankly it’s working. Sam Fiorella: Right? It’s a great way to build communities, it’s a great way to engage communities. Do we need to protect that? Do marketers have a role, should we be protecting it? Should we trying to change the trajectory of this negativity that is happening online and keep more people on? Danny Brown: You remove the hate groups, you remove the negativity, you do more. Just this week we saw that, again, Facebook is having an issue with people trying to influence the midterms in the US. Sam Fiorella: Yeah, midterm elections. Danny Brown: ,,, but because of that it’s impacting negatively. Sam Fiorella: I’m not sure. I’m just thinking that marketers are like sheep, unfortunately. We know this, there is a few of us … I’m going to pat myself on the back a little bit and I’m just going to throw myself into that mix, there’s a few of us that like to think ahead of the curve a little bit. Try to think what’s next, but the reality is Twitter has been having a problem with a long time, right? I remember I was interviewed on a CDC news show about a year ago on Twitter and all the negativity and the lack of use that they were reporting at the time. And at the time I reported or I predicted on that program that something drastic is going to have to happen to Twitter or it will actually go in. This is when, remember Disney was looking at buying it? Sam Fiorella: And a few other companies in the said no, you know, you’re just too toxic. Sam Fiorella: You haven’t been able to control the negativity. You haven’t been able to control the hate that’s happened, the hate literature, the hate speech that you’ve been propagating. And at the time I said something has got to happen and it really hasn’t. They haven’t done that much. They have made some efforts, granted, I’ll give them that, but it really hasn’t changed the trajectory of the discourse.And so there’s still, they made a profit. Sam Fiorella: They decreased in users, yes. But they actually reported a profit last quarter, so people are still spending money. Advertisers are still spending money there. So, you know, I don’t know. I’m not sure that marketers are necessarily the ones to lead the way. I’m thinking they are going to … marketers have a tendency to be shortsighted. What’s going to give me the biggest bang for the buck this month? Sam Fiorella: They’re not thinking enough long term. And I’ve always said that marketers ruin everything, right? Because we look for the latest gimmick we throw money at it and we all try and write books and become experts at it as opposed to playing the long game. Of course part of that is the fact that we are paid by people that are looking for short-term results. Sam Fiorella: So that’s a little bit of a difficult thing. All right, so we are getting our bell. We still don’t have a bell. This is a very low budget show. We really got to get our last call bell. Danny Brown: Please send us a bell. Sam Fiorella: Yes. Can we have kickstart programs? Danny Brown: How about a bell? Sam Fiorella: For a bell. Okay, so last call. What is the last spot that you want to leave people who might be listening and on this topic, should we be worried about it? Should we be taking a lead? Should we be jumping ship and looking for the next thing? Danny Brown: I think we do need to look for the next thing just from a preparation point of view. It’s clear that people are, they might not leave this year or next year, but it’s clear people are seriously thinking about how they spend their time online and what they are doing online and especially with all the negativity and what they can’t control, about how it makes them feel. Danny Brown: And they are seeing people close to them get hurt because of online activity. So I think once you start seeing that impact then it just takes the first dollar to topple. I think marketers have a chance to impact the conversation, but it’s like you said earlier, you have to look further ahead. Sam Fiorella: Yeah, so for me I’m going to sound like a broken record here because I found myself over the last couple of weeks saying this at couple of different interviews that done. It isn’t necessarily about the social media platform, it’s about the community building. Sam Fiorella: Right? And with influence marketing in particular, something we talk about a lot and we do a lot of, it’s not about the platform that you’re identifying influencers with. It’s about building the community and then within that community identifying influencers that are natural, and organic, and trustworthy, and authentic. Sam Fiorella: So I’m thinking that from a marketer’s standpoint what we should be doing is continuing to roll up our sleeves, continuing to play the long game, continuing to build communities regardless of the platform, a community that can transfer from one platform to another to another. Build those communities of fans that have a purpose to it and not rely on someone else’s community. So not rely on Facebook to have the community. Sam Fiorella: Because you don’t own the data anyway. They are the ones monetizing it and making the money. Don’t rely on Twitter, don’t rely on Instagram because … we do know Google+. And think about some other communities that may be around still but are essentially dead from a practical purpose. So is it really worth investing in any? Sam Fiorella: And given some of his lessons [crosstalk 00:18:53] that were learning about our being manipulated and the negative effects of social media, that Big Bang might actually be coming sooner than we think. So build that community so that that community is purposeful, independent, and can be transferred. For whatever it’s worth that’s my last thought. I think it’s a brilliant, but I think everything I say is brilliant, so I’m not really a good judge of my own brilliance. Sam Fiorella: So that’s it. Thank you everybody for listening, watching, for those of you that are online and thank you, even though Muskoka brewery, you did not send us a beer, thank you for making such a great beer that surprised me, actually. I’m going to have to definitely finish this one, right now. Cheers. Danny Brown: Cheers. Cheers guys. 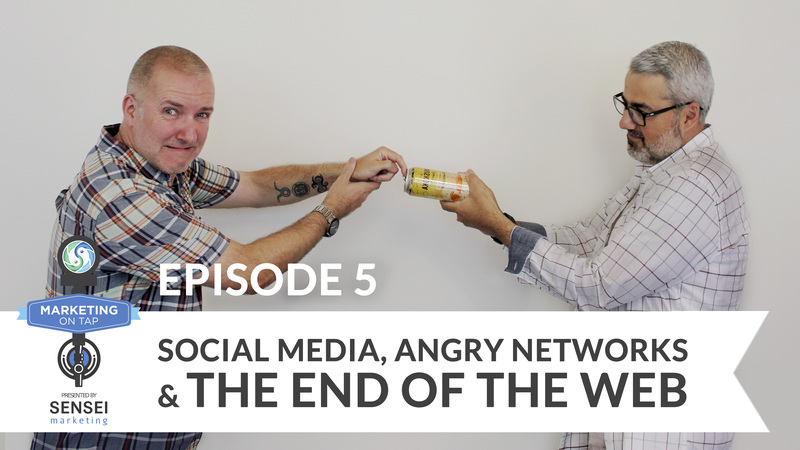 Outro: You’ve been listening to Marketing On Tap of Sam Fiorella and Danny Brown. If you enjoyed this episode make sure to subscribe so you don’t miss the next one and please feel free to leave a show review. That’s always worth a “Cheers”.